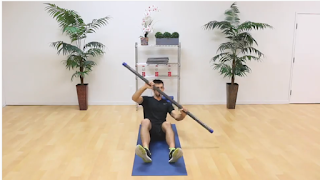 You will only need your ActivMotion bar for this 10 minute full body stretch routine. 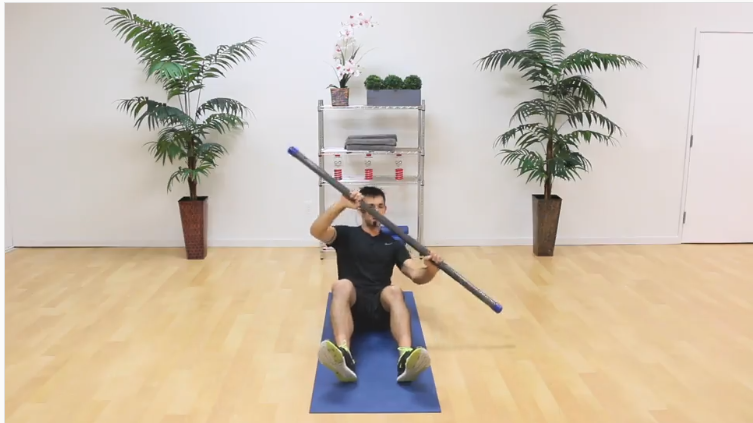 The bar is used to enhance the stretches. Stretches includes kneeling hip flexor stretch adding a side stretch, forward bend variations using the bar for upper body stretching, forward fold holding the bar, and shoulder stretch with hip rotation. This stretch routine is suitable for all fitness levels. All of the stretches utilize the bar & really enhance the postures. Derek provides a lot of instructional breaks throughout and stretches most all body parts. The bar is a great stretching tool. I received access to this routine to review.